Live down in the 79th Legislative District in Illinois? That means you live in/around parts of Kankakee, Bourbonnais, Bradley, Essex, Hopkins Park, Peotone, Herscher and Braceville. Want to help a good candidate? And take a shot at changing all the State of Illinois? It starts with electing new folks to the House and Senate. 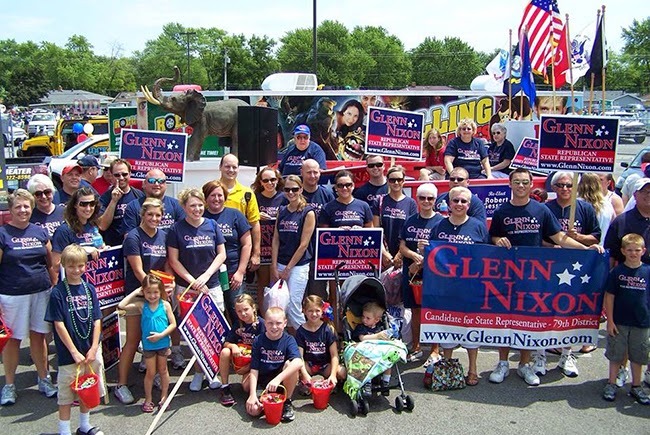 So...go get involved in Glenn Nixon's race to beat back Madigan Mope State Representative Kate Cloonen. This Saturday and Sunday, we are planning Days of Action. Our goal is to knock on 2,000 doors in a single weekend! Maybe you're one of the many volunteers who has walked in a parade, knocked on doors, or donated to our campaign. Maybe you haven't gotten involved yet. Either way, we want you to be a part of our campaign this weekend. You can sign up to take part here on Nixon's site.